At Premier Transport Group we offer an extensive range of buses and coaches that can cater to your charter and freight needs. We operate over 500 buses along our east coast network between Cairns and Eden, ranging from smaller 20 seat buses up to 60 seater, 5 star luxury coaches. We can offer buses fully equipped with seatbelts, air-conditioning, reclining seats, toilets and video entertainment facilities. Within the Sydney and Wollongong regions, serviced by Premier Illawarra, Premier Charters and Premier Motor Service. Along the NSW South Coast and Nowra regions with Premier Motor Service and Nowra Coaches. 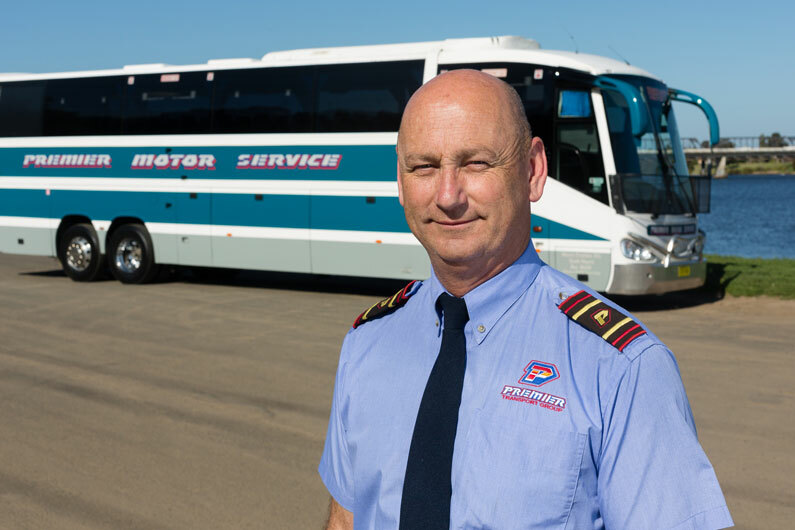 Throughout Queensland, extending from Brisbane and Gold Coast in the south to Cairns and Mackay in the north, with Surf City Coaches, Premier Motor Service and Bus It Queensland. Our experienced and friendly team can provide you with simple solutions to your charter and transport enquiries. To obtain an obligation free quote or enquire about our services, phone our customer service team on 13 34 10 or email admin@premierms.com.au. Alternatively, you can contact us directly through our Enquiry Form. For freight services that are outside of the above items and sizes, please phone or customer service team on 13 34 10. Alternatively, you can contact us directly through our Enquiry Form. All freight must be pre-booked and paid through one of our Premier Terminals or partnered travel agents, with the appropriate ticket signed and completed. The maximum weight of individual items for carriage is not to exceed 20 kilograms. Dangerous goods such as flammable items, corrosives and pressure packs will not be carried. Perishable food items such as seafood, fruits and meats will not be carried. Freight liability is limited, and all goods carried are at the consigners risk. All freight is subject to load and will be consigned on the first available service, subject to available space. For more information about our freight services and where to book, please call our friendly customer service team on 13 34 10, consult our complete Terms and Conditions of Travel, or contact us using our Enquiry Form.